Craft brewers can chalk up another legislative win, this time in Illinois as legislation prohibiting manufacturers of beer from owning beer distributorships passed the Illinois House with a unanimous vote. Craft brewers can chalk up another legislative win, this time in Illinois as legislation prohibiting manufacturers of beer from owning beer distributorships passed the Illinois House with a unanimous vote. House Bill 2606, sponsored by Rep. Frank Mautino (D-Spring Valley) with 74 co-sponsors, clarifies that the three-tier regulatory system does not allow vertical integration — ownership in another tier — and reinforces the intent of Senate Bill 754 which became law in June 2011. “This legislation makes it absolutely clear that manufacturers of beer and any affiliate or subsidiary are prohibited from owning an interest in a distributorship,” Mautino said. The legislation and amendment is the result of meetings initiated by Senate President John Cullerton (D-Chicago), which brought interested parties together including Associated Beer Distributors of Illinois (ABDI), Anheuser-Busch InBev (ABI), MillerCoors (MC), and Wine and Spirits Distributors of Illinois (WSDI). Knowing that there was strong opposition to ABI owning an interest in distributorships, ABI agreed that they would divest themselves of their interest in City Beverage Illinois LLC, which holds four Illinois distributorships licenses. But they requested some time to find a purchaser and complete the buyout. The divesture must be completed by Jan. 1, 2015. That agreement became an amendment to HB 2606 which became the bill. “It’s extremely important to preserve the three-tier system in Illinois. This post-Prohibition law protects consumers from the threat of large brewers controlling distribution thereby creating vertical integration – a means by which they can create a monopoly in the marketplace,” said David R. Leitch (R-Peoria), chief co-sponsor. Numerous legislators reported that they were shocked that the legislative intent of SB 754, which stated “all brewers, in-state and out-of-state, manufacturing beer above the craft brewers limit may not self-distribute or own a distributorship in Illinois,” was ignored by the Liquor Control Commission when they ruled on Oct. 31, 2012, that ABI could continue to own 30 percent of a holding company. 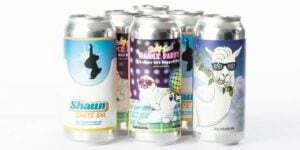 Distributors are intended to be an independent licensee separating a brewer from a retailer. Brewer ownership of a distributorship is vertical integration of the three-tier system, thereby creating a two-tier system which negates the purpose of the three-tier system.